On behalf of YCRLAW, thank you to all of our clients for putting your trust in us for another year. To read our firm’s 2017 update, click here. Stephen L. Brown was recognized as the 2018 Charleston, South Carolina Litigation-Insurance “Lawyer of the Year.” Carol B. Ervin was recognized as the 2018 Charleston, South Carolina Litigation – Labor and Employment “Lawyer of the Year.” Only a single lawyer in each practice area in the community is honored with the “Lawyer of the Year” award. Michael A. Molony was recently elected an At Large Director for the Federation of Regulatory Counsel (FORC). Wilbur E. Johnson, Managing Partner at YCRLAW, is one of 21 proven leaders who have been chosen to mentor the Fellows in Liberty Fellowship’s class of 2018. Liberty Fellowship is a statewide leadership initiative founded by Anna Kate and Hayne Hipp, Wofford College and the Aspen Institute. Through the Fellow program, Liberty Fellowship seeks to inspire outstanding leadership in South Carolina, empowering the state’s leaders to realize their full potential. Fostering a values-based approach, Liberty Fellowship exposes leaders to diverse perspectives, critical thinking, and intellectual and personal development. To view more details, visit https://www.libertyfellowshipsc.org/people/mentors. To learn more about the Fellows in the Class of 2018, click here. YCRLAW is pleased to announce that Wilbur E. Johnson is a newly elected member of The American Law Institute, being duly elected by the Council of The American Law Institute on July 20, 2017. The American Law Institute is the leading independent organization in the United States producing scholarly work to clarify, modernize, and otherwise improve the law. The Institute—made up of judges, lawyers, and law professors of the highest qualifications—drafts, discusses, revises, and publishes Restatements of the Law, model statutes, and principles of law that are enormously influential in the courts and legislatures, as well as in legal scholarship and education. Please visit ALI’s website for a complete list of projects. Robert “Bob” Lebby Clement Jr.
Bob Clement had been retired for years when I came to work for YCRLAW (then, Young Clement Rivers & Tisdale, LLP) in 2001. However, he still came into the office in a suit and tie several times a week, and I became acquainted with him through a long series of hall meetings and brief talks about family. I could tell immediately that he garnered tremendous respect in the office, and he always seemed to know the answer to the question before he asked it — the hallmark of a wry and clever attorney. I got to know Bob much better during the spring of 2015 when we were preparing for the firm’s 50th anniversary party. 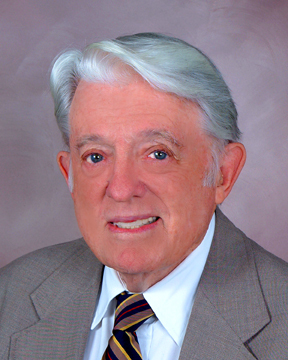 I was in charge of producing a video tribute to the Charleston Community and the firm, and Bob was my contact for anything relating to the firm’s history and founding. In the process, I quickly discovered that Bob wanted to be much more than an encyclopedia for YCRLAW. He wanted to be involved in the production of the firm video, and he was more than willing to step out of character for the sake of artistic license. Bob was frail by then and was having some trouble walking. So, we did not see him in the office very much at that time. However, he was still wry and clever and told me several times that he wanted our video to be “cutting edge.” Wanting to know if he knew what “cutting edge” meant, I put him to the test. One of the early ideas for the video involved a Matrix spoof in which I was Neo and Bob was Morpheus. Some of my partners thought the idea was crazy. Bob wasn’t sure. Still, he was familiar with the film, knew what I was trying to convey and, most of all, he was eager to take the video in a less conventional direction for the sake of humor and originality. I never knew Bob as a practicing attorney. I never saw him work with a client, argue before a judge, or thunder away at opposing counsel. I did get to see the sharp and creative “what if?” attitude that helped make him and the law firm that he co-founded so successful. Thank you Bob, and God’s speed. YCRLAW is pleased to announce that Joanna Stroud has been appointed to the Wellness Committee for the South Carolina Bar for the term of July 1, 2017 to June 30, 2018. YCRLAW is proud of Paul Garfinkel’s service on the Charleston Pro Bono Legal Services (CPBLS) board. The City of Charleston recently honored CPBLS with a proclamation honoring their fifty years of service. YCRLAW is pleased to announce that the South Carolina Board of Arbitrator and Mediator Certification has certified that Wilbur E. Johnson is approved to serve as a Circuit Court Arbitrator. As of July 1, C. Michael Branham will be the Chairman of the Board of Directors of the Coastal Community Foundation, Inc. The service area is the entire coastal region of South Carolina, with approximately $245 million under management.